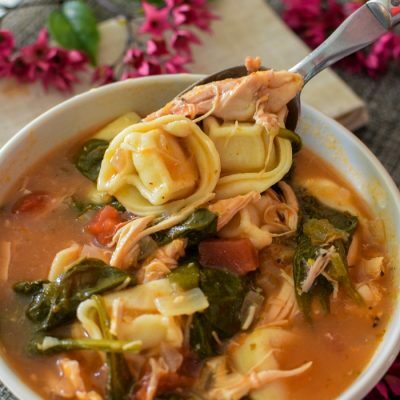 Chicken Spinach Tortellini Soup is not the usual recipe you want to make when you’re on vacation. But when the weather heads south, like we did, you crave something deliciously warm and spicy. This is a zesty chicken vegetable soup that will warm your tummy as well as your body. Fresh cheese tortellini cooks in no time and hot chunky salsa spikes the rich broth. The recipe is so versatile you can make countless variations and we’ll give you more ideas. 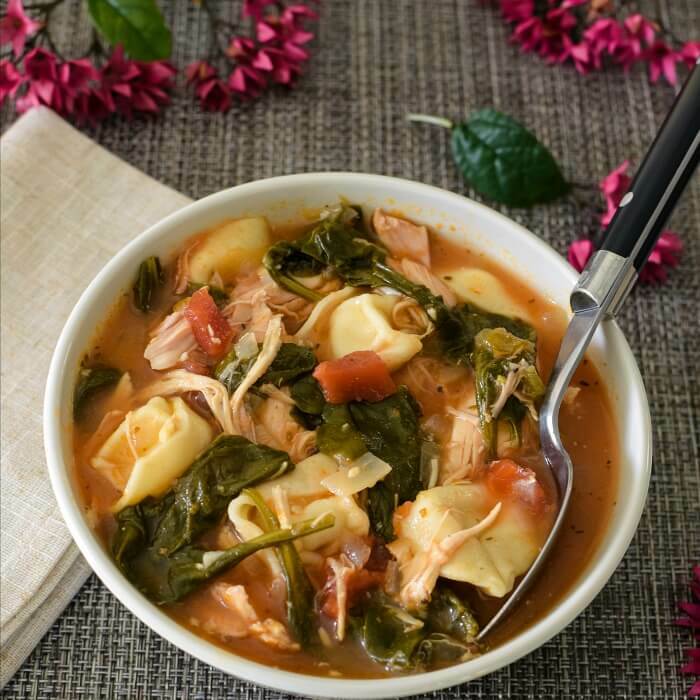 For this recipe you’ll need: chicken tenders or rotisserie chicken, baby spinach, fresh cheese tortellini, chicken or vegetable stock, garlic, onion, olive oil, oregano, petite cut tomatoes with green chiles, chunky salsa ( you’re heat tolerance), oregano. The next day we went to get our supplies and one of the stops was at Trader Joe. 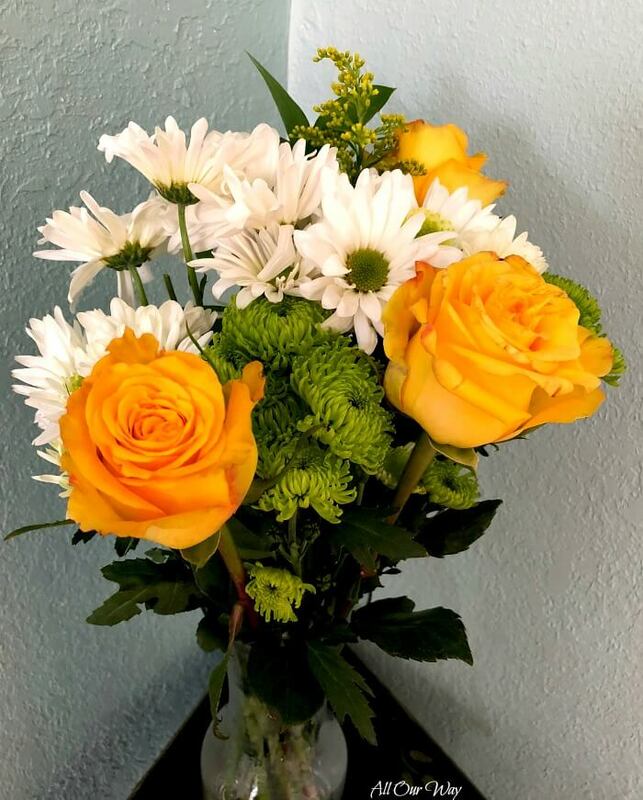 Flowers are a must when I go there. Along with the flowers we bought fresh cheese-filled pasta, and baby spinach for the zesty chicken tortellini soup. We left Giotto’s then stopped at a big box store where we bought a rotisserie chicken for the soup. When I made the soup on Facebook Live I used chicken tenders. Either way tastes great. I’ll be quite honest, rotisserie chicken can be a life-saver in the kitchen. You can make quite a few meals out of it and it’s inexpensive. Several more stops and we were ready to start on the spicy chicken spinach soup. Next comes the chicken, if you’re using chicken tenders, but this time we’re using rotissierie chicken so we immediately add the rest of the ingredients. We’ve mentioned how much we love our spicy soups so we made sure our petite cut tomatoes had green chiles in the can. Along with the tomatoes we bought the hot salsa instead of the mild or medium variety. We used the dark meat off the rotissierie chicken and saved the breast meat to use for another time. Once the meat was in the soup we let it come to a simmer again and then added the fresh cheese tortellini. Now, we’re getting to the home stretch! We added the baby spinach leaves and they wilt immediately. The soup is ready to serve. Wasn’t that easy? And you know what? This soup can be the basis of many other delicious soups. Tex-Mex Soup — instead of tortellini add beans, corn, cumin, and top with crushed tortilla chips. 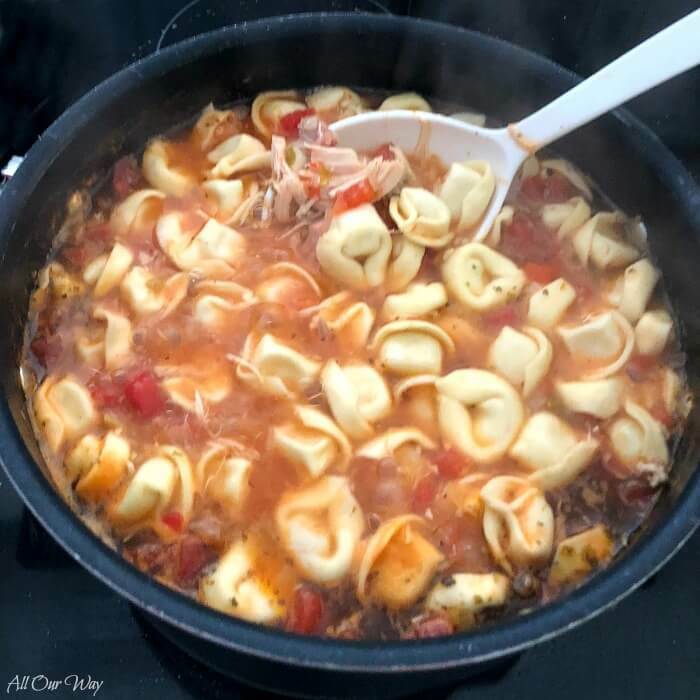 Italian Soup — instead of tortellini add cannellini beans, switch the petite tomatoes with green chiles for Italian seasoned petite tomatoes and keep the salsa, it’s good! You could add zucchini to it and orecchiette. Vegetarian Soup — omit the chicken and tortellini and add beans, tofu, vegetables you like. Chinese Soup — Omit the tortellini add a bit of ginger to the broth and soy sauce along with the chicken. Instead of the olive oil to saute the garlic use a bit of sesame oil. Ditch the canned tomatoes but keep the salsa. That will keep the zest instead of the oriental hot sauces like Sambal Oelek. Use bok choy for the green or whichever greens you like. Use Chinese noodles for the pasta, any kind you like. YOU MAY NEED . . .
Grazie for being a part of All Our Way. If you like this recipe, please consider giving it a five star rating. 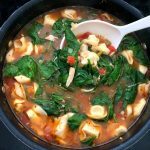 This zesty vegetable tortellini soup comes together quickly whether you use rotissierie chicken or chicken tenders. 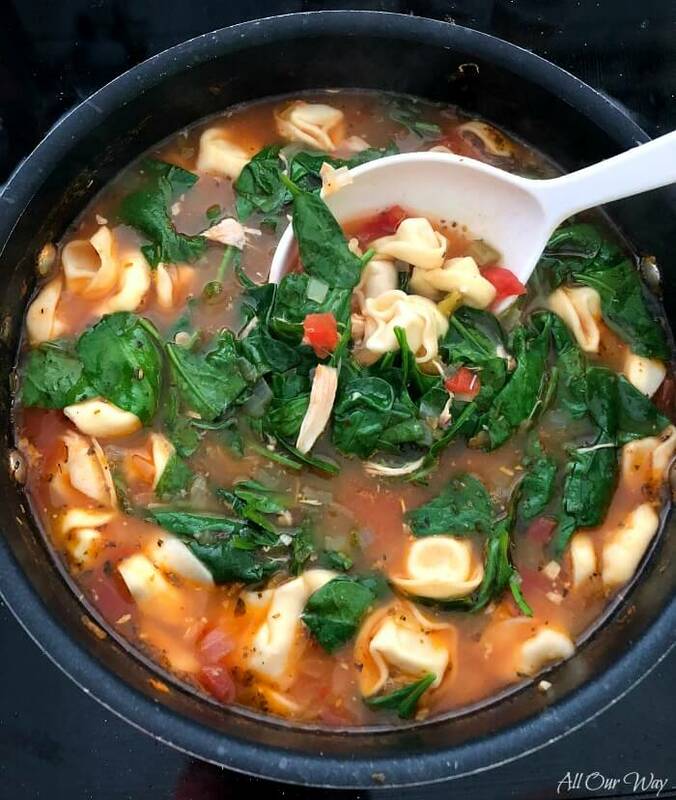 Once the broth, canned diced tomatoes, salsa are simmering it’s only a matter of putting in the shredded or diced chicken, fresh tortellini, and spinach then you’re spicy chicken spinach soup is ready to eat. 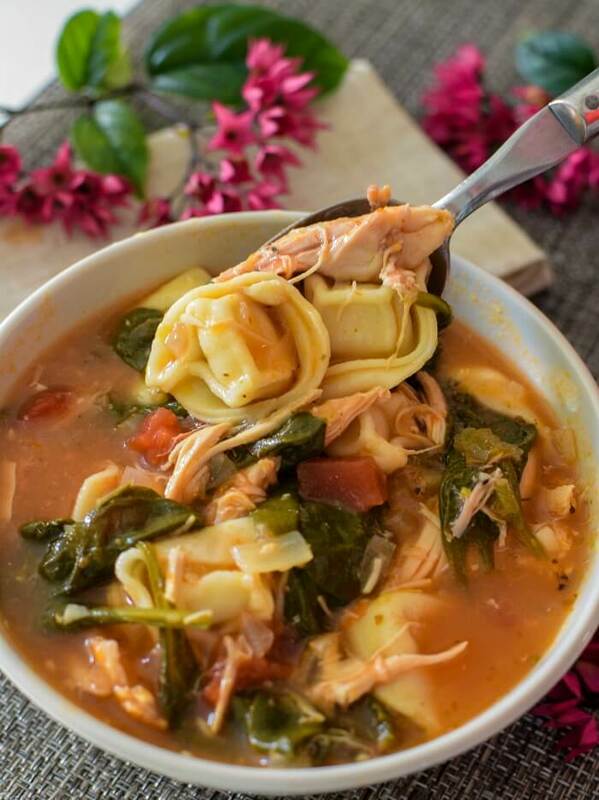 Spicy chicken soup with fresh tortellini pasta and baby spinach. The zest comes from the green chiles in the petite tomatoes plus the chunky salsa. Tasty and quick to make. 1 pound chicken tenders in bite size pieces or rotissiere shredded. In a large Dutch Oven or pot, heat oil over medium heat. 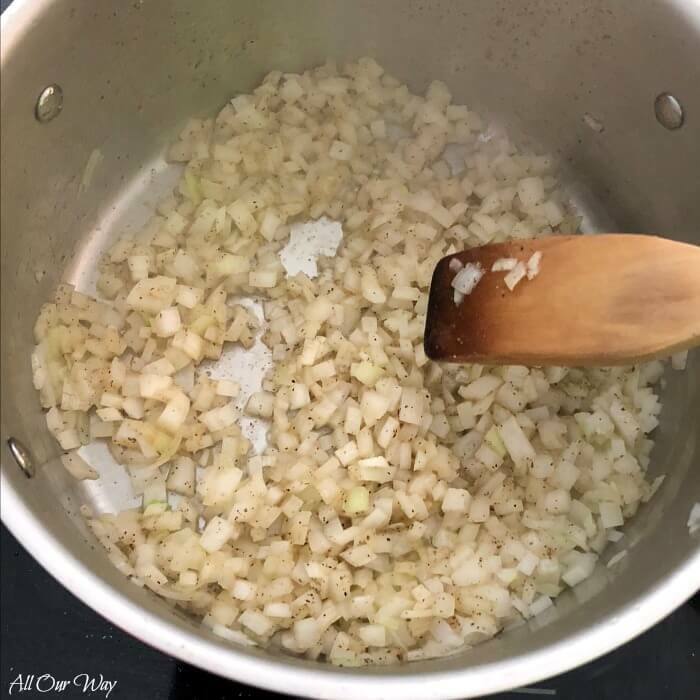 Add garlic and onion and cook until the onion sweats. Lightly salt and pepper. Add the broth, oregano, petite cut tomatoes, and salsa. Bring to a gentle simmer. Now add the shredded rotisserie chicken and again bring to a simmer. Add the tortellini; bring to a simmer and cook uncovered until the tortellinni are tender -- about 7 to 8 minutes. Stir in spinach. It will wilt right away. Serve hot. Note: Recipes and content from 2014-2018 All Our Way are copyright protected. Please do not use content or recipe without prior written permission. If you want to share the information please link to this post. Grazie! This soup sounds so delicious and so hearty! I’m sure it would be absolutely perfect for the colder temperatures we’ve been having lately! This looks so so cozy for the winter! I’ve been meaning to make more soups lately so I will definitely give this a try! I love this soup and all of the variations. Thanks for sharing! And I hope the weather improved. 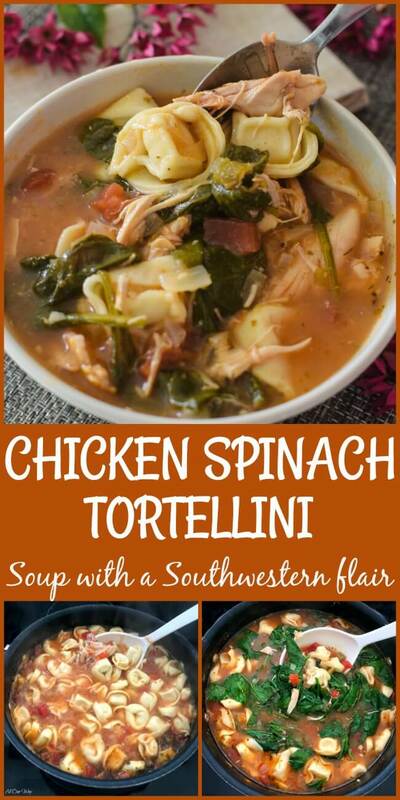 This looks like a good one to add to my winter soups list! Great shortcut to use a rotisserie chicken! I love adding pasta to my chicken soup! Using tortellini just adds that many more options depending on what kind of tortellini you use! 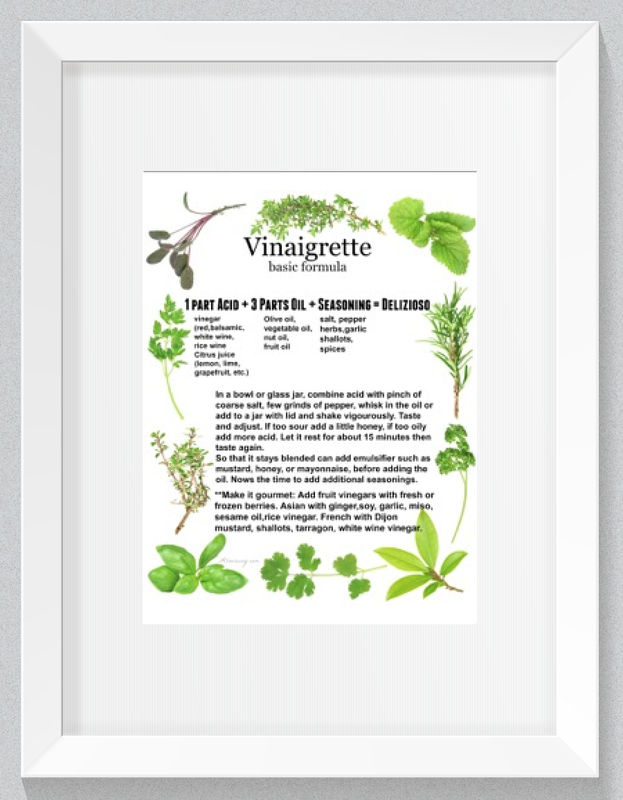 Love the recipe suggestions for different styles you provide! Thank you, Chef Markus! I bet you make some amazing soups. I like the idea of using rotisserie chicken here, shreds so quickly. Tortellini soup is one of my favorite anyways, love it!